November/December marks the end of the school year at Oasis de Esperanza. 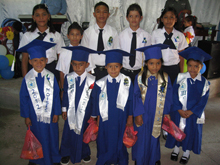 In Nicaragua, there are three graduations: Pre-K to 1st grade; 6th grade to High School and 12th grade. Since we haven’t been around long enough, we anxiously await our first 12th grade graduation but for now we are blessed by the children who participate in Pre-K and 6th grade programs. This year, Oasis de Esperanza Managua graduated 25 children from Pre-K to 1st grade and 20 children from 6th grade to High School. Oasis de Esperanza graduated 5 children from Pre-K and 5 children from 6th grade. For most children, especially the older ones, they rarely progress beyond 6th grade and that’s when the highest dropout rates occur. We are constantly encouraging our 5th & 6th graders that their education is just beginning and while we do lose some, God is blessing us with a good retention rate. Many children are forced to quit and go to work while many are forced because education is not a priority. 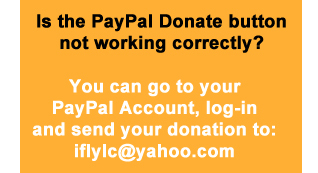 It’s our priority and we believe it’s a part of God’s plan for these children’s lives. We constantly remind them, especially the boys, “you can either work with your back or work with your brain” and that it’s their choice. At times we feel like we’re swimming against the current, but we know that with God’s help we are making progress.